BOPH is a charity providing disabled work placements in Essex. 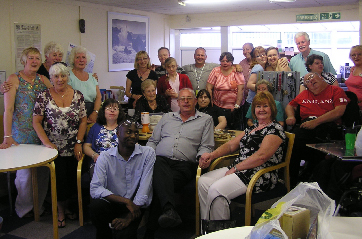 Founded in 1995 by Joan and her late husband, BOPH was set up to give work placements to disabled people in Essex. Joan’s granddaughter had suffered vaccine damage as a child and on leaving full time education, Joan’s family soon became aware that there was a complete lack of work opportunities for young adults with disabilities. So Joan and her husband set up a centre that would offer work placements for disabled people in Essex. BOPH provides a safe, friendly environment for people with disabilities to work and live a normal life. At BOPH we give disabled people in Essex a work placement that lasts indefinitely. We want everyone to have the chance for a working life just like their able bodied friends. You can come to the BOPH workshop and expect to take part in real work for real companies such as packing or printing. The BOPH unit in Charfleets Industrial Estate has been completely revamped into a modern workshop. Disabled people based in Essex can come here and undertake work for a range of businesses that require their services. This workshop provides a great space for disabled work placements in Essex. The workshop is spacious and has all the facilities you would expect from any work place. To find out more about disabled work placements in Essex, give us a call or email us. We are always welcoming new recruits so talk to us to find out what you can do with BOPH. If you want to get involved or are even a bit unsure about it, talk to us and we can tell you all about what we do. If you want to help BOPH you can also donate to the cause by clicking below!